A mains fed water cooler is a great way to provide your staff with hot, cold or sparkling drinking water. It is also hassle free and cost effective with just 1 monthly payment. 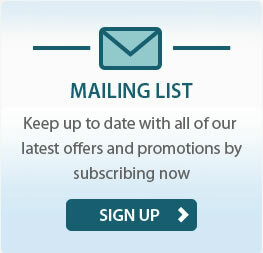 The products are designed to simply chill, filter and purify your own mains water for a naturally refreshing drink at any time, so there is no need for bottled deliveries and regular servicing is included as part of your monthly agreement - leaving you to sit back and relax - with a glass of water of course! Our mains fed water coolers are a great option if you want to site your cooler in the kitchen, or near a water pipe. Our FREE SITE SURVEY will help determine the best location to site your cooler depending on your facilities and requirements and we offer free installation within 5 meters of existing pipe work. 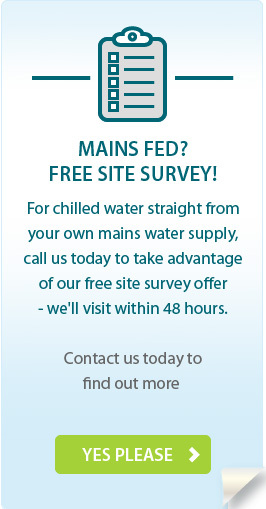 Why not take advantage of our great offer and ask us to visit your site for a FREE site survey today?